Microsoft has pulled the trigger on a deal that will see them acquire corporate social network Yammer in an effort to keep pace with other similar offerings. As rumors earlier this month suggested, Microsoft has agreed to pay $1.2 billion for the four-year-old start-up founded by former PayPal chief operating officer David Sacks, who will remain with the company as chief executive officer. 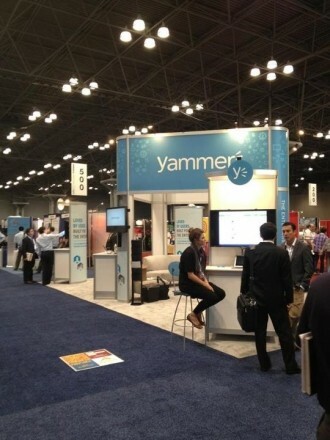 Yammer, sometimes referred to as the Facebook or Twitter of the business world, was originally conceived with the idea that employees could post a short description of a project they were working on for others in the company to follow and offer ideas. It has since evolved to include a wider range of social networking features to facilitate file sharing, knowledge exchange and team efficiency. The service boasts around 5 million users spanning more than 200,000 companies worldwide. Salesforce.com, Google, Oracle and SAP all have extensive corporate social network offerings and it’s clear that Microsoft wants to compete. Trip Chowdhry from Global Equities Research believes that Microsoft is too late to the social party, noting that it’s impossible to get into a leadership position by imitating the leaders. He feels that Redmond will have a tough time trying to catch Salesforce.com and Oracle, both of which have beefed up their offerings in recent years. Regardless, Jive CEO Tony Zingale feels that the acquisition solidifies the idea of corporate social networking and will likely lead to it becoming a must-have business tool.